Photo provided by Downtown Block Party. 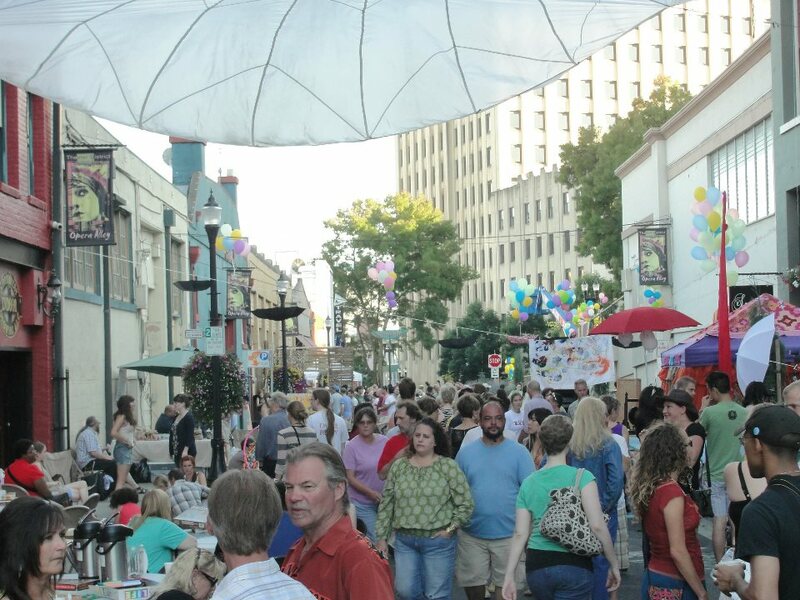 On August 18th, Downtown Tacoma’s Opera Alley will host what is quickly becoming one of Tacoma’s most loved events. The vision behind the Downtown Block Party is giving attendees the chance to feel what it would be like to make their neighborhood a better place by working collaboratively and creatively. The Downtown Block Party is a unique experience in Tacoma. Instead of vendor booths, the event is overrun with artistic demonstrations and activities. From the moment a party-goer steps into the Euro-styled Opera Alley, the atmosphere asks them to participate in the life and activity around them. Musicians set the heartbeat of the event by laying down improvised grooves. Meanwhile participants can paint, craft, dance, eat, and drink. They may choose to put on old shoes, step in paint, and dance on linens – that is if one of the open community murals didn’t grab their attention first. It’s hard to put into words the spirit of the party. Spontaneous blues-dancing one minute, people getting down with their best hip-hop or hula-hoop moves the next. Whatever the case, it will be hard for them to leave at the end of the night without a sense of inspiration to think outside-the-box about their own neighborhood. Photo booth fun at the 2011 Downtown Block Party. 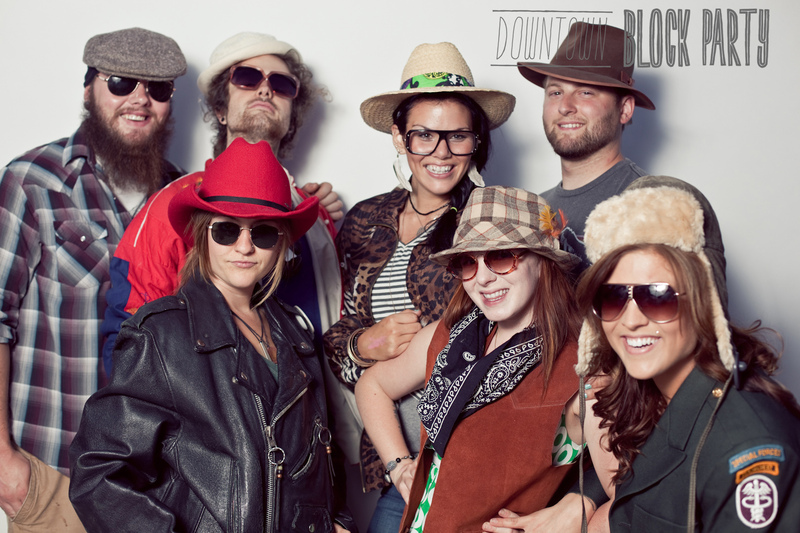 Photo provided by Downtown Block Party. 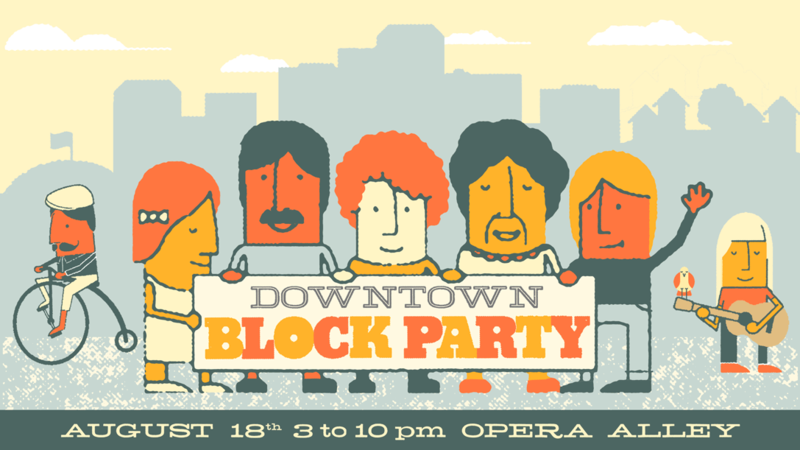 Downtown Block Party in the Works! Hello, all you lovely artists and arts advocates! This is a friendly head’s up that the Downtown Block Party (DBP) planning committee will be having an info meeting this Wednesday, April 4th, 6-7:30 pm, at 1120 Court E in Tacoma. As many of you know, the DBP is a very art-focused, creative community event. To find out more about it or to get involved in the planning, please come to this week’s meeting. DBP is offering a huge bounty (well, almost) for artists who will volunteer to facilitate an interactive art activity this year! The following Tuesday, DBP will be having an artist brainstorm sesh to dream up as many interesting, out-of-the-box ideas for the party as possible. It will be at the same place, 6-7:30, once again. Feel free to join for either. Just e-mail justin@locallifetacoma.org to let them know you’re coming to one or both so they can be prepped.